Nine Isis Brass Pendulum by Natural Agate symbolizes â€œCross of Lifeâ€. 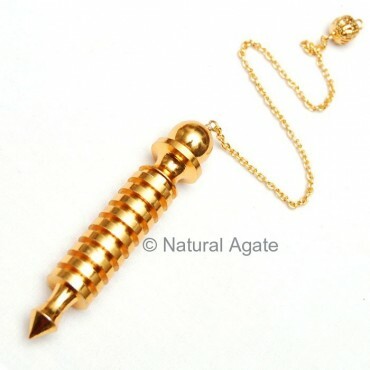 The plate-like discs and brass together make this pendulum highly useful tool for dowsing. It is 20-50mm long.